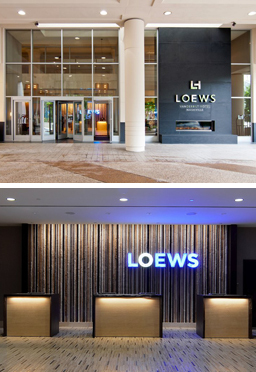 Loews Vanderbilt Hotel, located in Nashville, TN, completed a large-scale renovation of the lobby level along with approximately 340 hotel guest room baths. 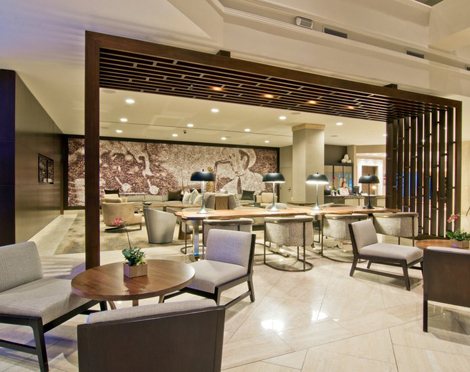 The existing lobby level lounge areas, front desk area, entry, back of house offices, restaurant and bar areas were largely gutted and redesigned, enriching the overall lobby experience for guests as well as improving hotel operations. A renovated patio adjacent to new meeting space offers modernized, rentable indoor/outdoor function space. 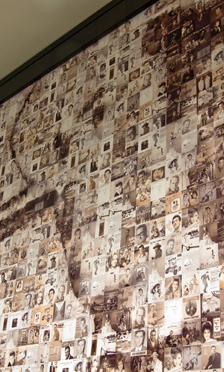 The new design provides an increased sense of modernization to the hotel while also increasing the sense of connection to Nashville’s musical traditions and southern heritage. Completed in 2013, RJTR was responsible for architectural, structural, MEP and lighting design services.